It's Sunday, which means that Alpha Stamps is showing off new work! 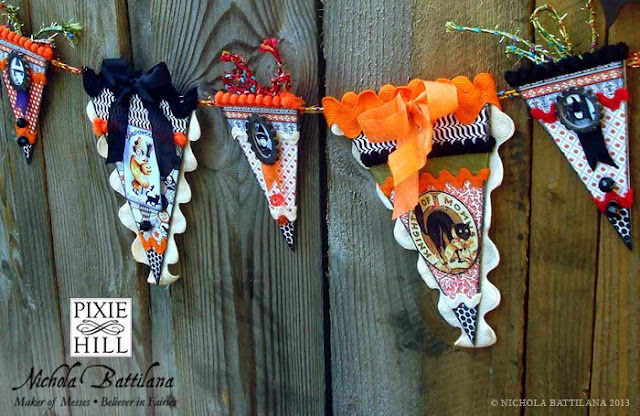 Today on the blog you can spy some loverly Halloween themed buntings made with the October Banner Kit by the AS design team members. Here's the one that I created with all those goodies. I adore buntings... but they sure are a pain to photograph! Some of my favourite items in this kits include these super cute Mini Chipboard Scalloped Frames & Medallions and this Tinsel Cording - Moss Green (which comes in other colours too!). 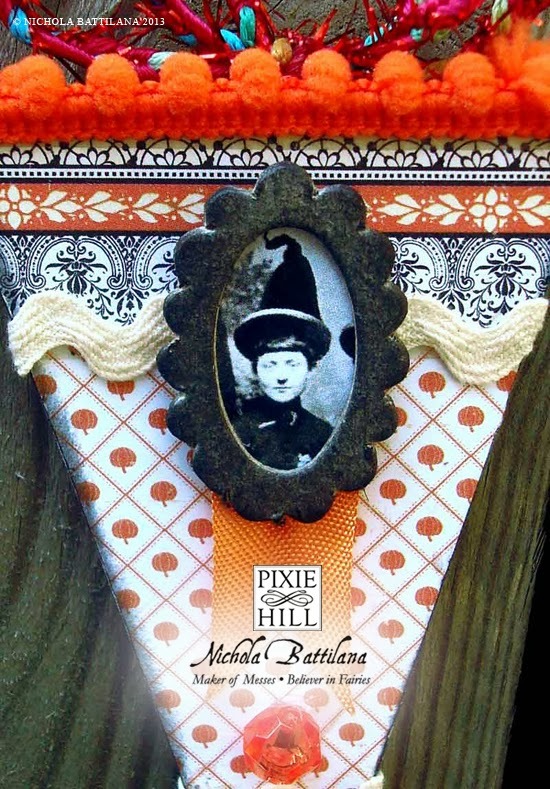 Also lovin' the A Witchy Encore Collage Sheet. 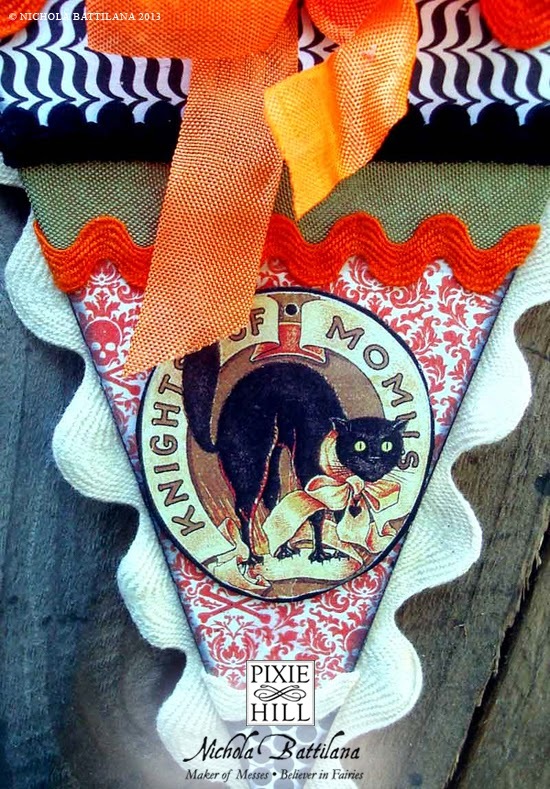 If you're a fan of vintage Halloween images they've got a great selection from sweet to creepy. Love everything about it! 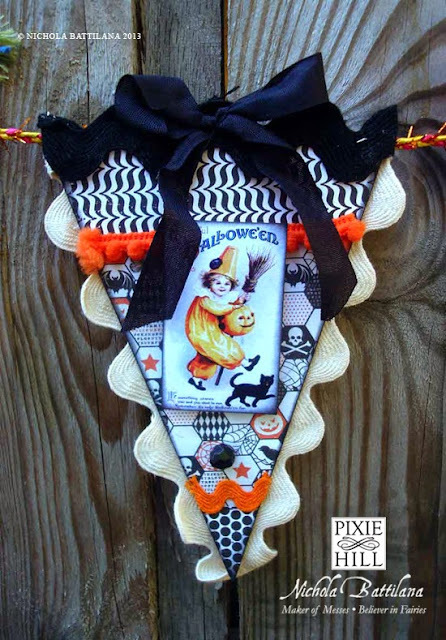 I love banners, I love Halloween, I love what you did with the kit!!! !